Naloxone kits-used to reverse the effects of opioid overdose-will soon be found anywhere an AED is located in Greater Napanee. 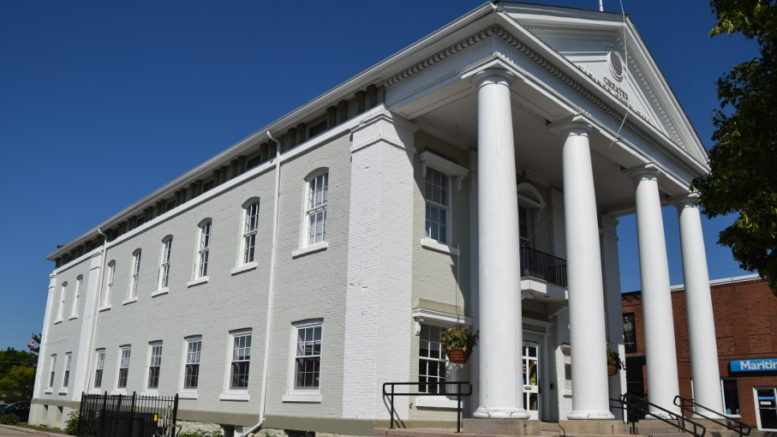 The town’scouncil voted to enter a memorandum of understanding with Lennox and Addington County during last Tuesday’s meeting, which would see the town join the County’s Naloxone Response Program. By entering the agreement, the town will be provided with free kits to be placed in all nine public buildings that currently house an automated external defibrillator. The deputy chief noted he has been working on this program since he first arrived in Napanee, almost a full calendar year ago. Hammond says the original goal was to have kits in every town vehicle, however naloxone is temperature sensitive and isn’t effective if it becomes too hot or too cold. They then turned their focus to getting one stored to where all eight AEDs are located throughout the town, with a ninth coming soon. A dozen first response units will also carry kits with them. Just like the AEDs, anyone who accessed the public kits would trigger an alarm so as to prevent theft. Along with the kits, emergency service workers will also be provided training for how to administer naloxone, which comes in a nasal spray form. It is beneficial in that it can do no harm, even if it were mistakenly administered to someone who hadn’t overdosed on opioids. The need for kits has grown in recent years. Canadian Mental Health Association reports that in 2017 an average of 17 Canadians a day were hospitalized due to opioid poisoning and close to 4,000 died. -In a separate report, Hammond told council that the town added four light vehicles to its fleet at a cost of $119,878 which came under budget by just over $25,000. Three of the vehicles were purchased locally from Boyer GM and Pringle’s Services Limited while another came from Toronto. Hammond also submitted a request to purchase a pumper fire truck at a cost of $596,416, which was under budget of $600,000. -Council also voted to enter a lease agreement with Riverboat Rental’s Harley Cunningham, allowing her to once again run her kayak and stand up paddle board rental business from 20 Water St. this summer.